Course Information Located near Lake Kawaguch that is a very popular scenic resort for Mt.Fuji. Situated at 1,100m from the sea level, laid on the gentle plain in the east side of Mt.Fuji. It features fairways lined by luxuriant woods of red pine and white birch and beautiful lakes placed effectively. 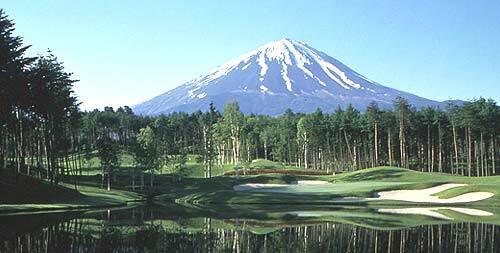 The most significant hole is the 8th par 3 which requires the shots toward the Mt.Fuji over the lake. This Brian Jones' course was ranked No.72 in Japan's top 100 golf courses in 2006 by E-Golf.